PDF has become a standard way of sharing electronic documents and notes online. PDFs are popular because the formatting is retained , no matter which device it’s viewed on , unlike word files which can change in appearance depending on the device. However, one limitation of PDF files that Word files do not have is the inability to mark up and annotate them easily. There may be times when you need to highlight important points in a document, add explanations, or remove unnecessary content. Fortunately, there are PDF markup applications that allow you to add notes to, highlight, and underline PDF files. 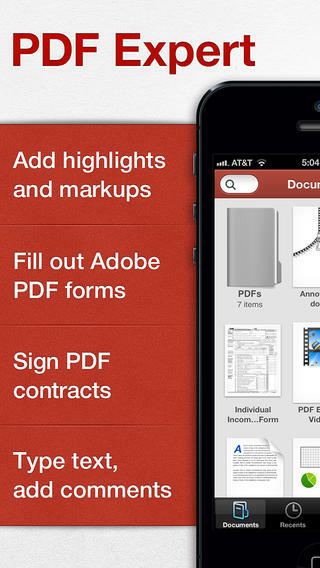 Here is a list of the best PDF Markup Apps for iPads, iPhones and Android devices. PDF element for iOS is one the best apps for marking up PDF documents for iPad and iPhone devices. The program allows you to add annotations to your PDFs with stamps, notes, strikeouts, comments, highlights and more. It also allows you to add text in fillable forms and draw personal signatures on your PDFs. The app also enables you to transform your PDF files into different formats such as Word, Excel, and PowerPoint. 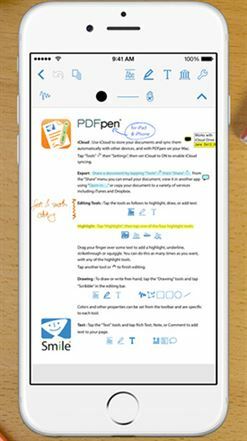 PDF Expert is an excellent app for marking up PDFs on your iOS device. This software is compatible with Adobe Acrobat and Preview, so when you save changes to your PDF document, there is an option for previewing and reading them through these programs. The app has an excellent structure which utilizes standard icons and buttons, and pop-up menus to prevent clutter on your screen. One of the most impressive features of this app is the menu that has a list of all previous annotations. It allows you to remove any undesired changes with a single click. Neu Annotate + PDF annotates PDF files through any application that has the “open with” command. These applications include Dropbox, Mail, and Safari. More so, this software supports importing of PDFs through Dropbox, WebDAV services, and iTunes file sharing. The application's ability to create and manipulate PDFs is impressive. The PDF Pen allows you to sign contracts, fill out applications, comment on presentations, make corrections, and more. The software consists of an intuitive UI and is able to synchronize with iCloud. Additionally, with this app, you can modify an original PDF, change text, images, and even create new PDF documents. The tool also supports freehand highlighting while still maintaining the original documents. 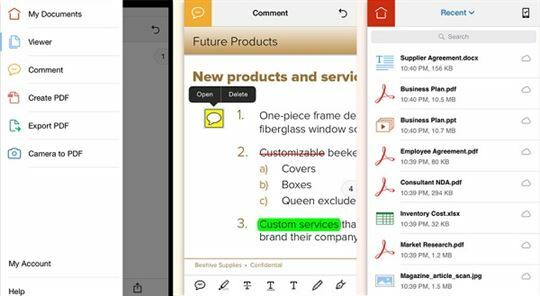 The iAnnotate PDF has comprehensive features and an intuitive interface that is efficient for annotation and sharing of files on your iOS device. 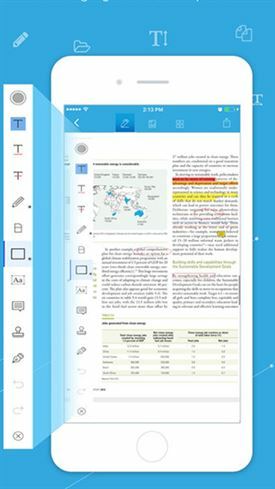 The app is popular for making notes on lecture slides, annotating business documents, revising screenplays, and grading papers. The application also has features that allow you to manipulate PDFs. Qiqqa is known for its Windows version which is recognized as an efficient research management system for academic and business use. The software can analyze PDFs and organize them according to tags and metadata. Qiqqa is popular for its ability to sync documents to your android phone and enable you to view them offline. 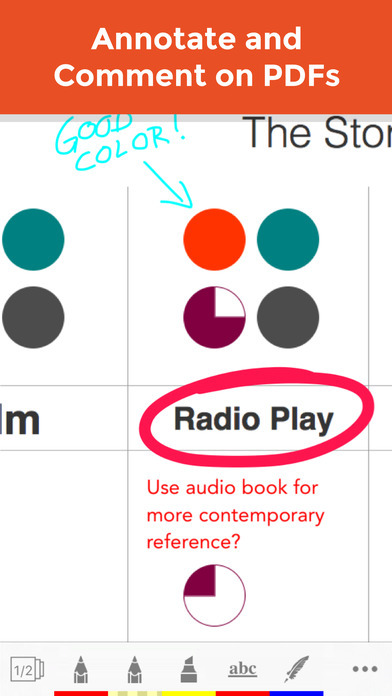 It also supports reading, highlighting, and taking notes from PDF files. 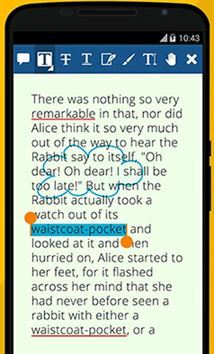 Xodo is one of the best PDF markup apps available with all the basic features of annotation. It is both a beautiful and easy to use tool. One of the striking features of this app is the ability to fill forms and add signatures. Xodo Connect is another feature of this tool that enables you collaborate with others online through Dropbox integration which lets you store files on the cloud. 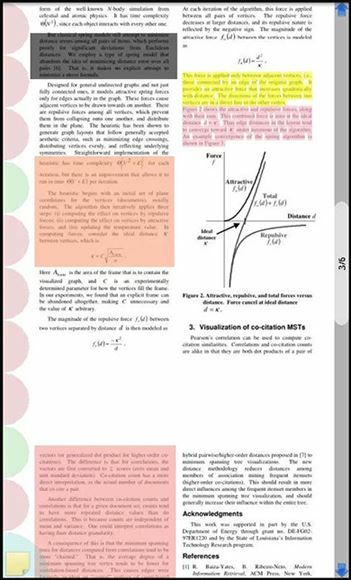 Ez PDF reader works as both a PDF reader and annotator. This tool allows you to view dual pages like you would when reading a document on a computer. It also enables you to highlight text, color text, take sticky notes, resize, and draw on your document. Other good features include signing of PDFs and filling forms. Another interesting feature of this tool is that you can play multimedia files within the app. Adobe Acrobat Reader has commenting and annotation features for marking up PDF documents. The comments and annotations that are saved on the PDF can be opened and edited on Android devices. The app has a fast search and zooming function which is handy for small mobile phones. 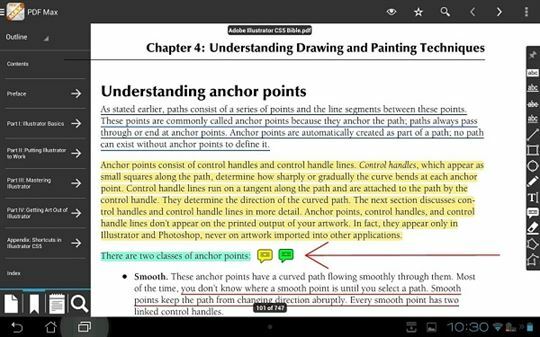 This tool has three viewing modes and also allows you to leave comments on your PDFs using drawing tools, and markup and highlight text with annotation tools. 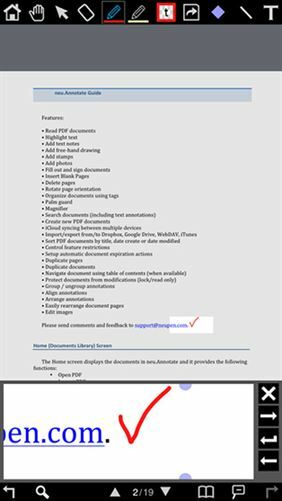 PDF Max is a reliable PDF markup app for reading, editing, and annotating PDF files from Android devices. It allows you to create PDF documents by handwriting, inserting text and stamps, signing, highlighting, and editing the pages. It is a reliable tool for filling out PDFs. PDF Max is also distinguished for its zoom-in feature that is helpful when filling forms and taking notes. This tool also includes other pleasant features such as text-to-speech reading, text reflow view, and cloud storage syncing. 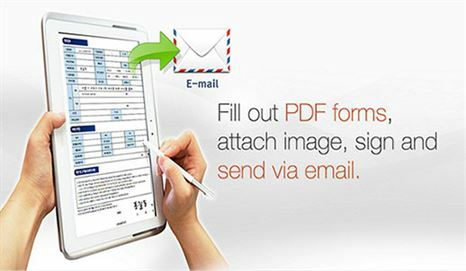 PDFs provide a convenient means of sharing files electronically. This document standard is lauded for many of its strong features including the ability to remain constant when used with different devices and the ability to compress large amounts of information to a relatively small file size. PDFs work on any operating system and make it easy to integrate non-text elements. Despite all the benefits provided by PDFs, they have one major weakness; you cannot markup or annotate them. Luckily, there are applications that you can use to perform these functions. PDF markup apps make it easy to manipulate PDFs in many ways, from adding text, to highlighting text, coloring text, taking notes, filling forms, inserting signatures, and so much more. The apps mentioned above are some of the highly rated PDF markup apps for iPads, iPhones, and Android devices. PDFelement ProPDFelement Pro is a multi-function PDF markup tool. With the help of this tool, you can easily highlight PDF files, and add markups and freehand shapes to PDFs. It also provides you with multiple editing tools to edit PDF text, links, and images, etc. Mark up and annotate PDF files with multiple markup tools easily. Edit PDF text, graphics, images, links, watermarks, and more. Edit and convert scanned PDFs with advanced OCR capabilities. 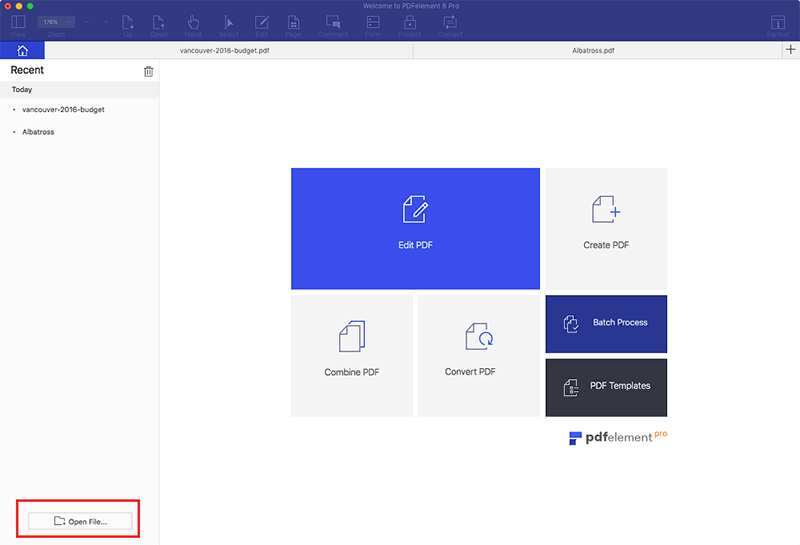 Combine multiple files into PDF and split PDFs into several files.